The school gives a lot of significance on faculty and academic research. Looked upon with awe by many schools as one of the best IB Schools in Coimbatore, MIS places a great deal of importance on balancing the latest theory and academic knowledge with practical learning experience. Our teachers are highly trained and active in their respective domains and are rigorously selected from among the best in their field. They are regularly inducted with regular professional development sessions and are encouraged to attend various trainings and workshops throughout the year. Regular face to face and online training sessions are conducted for teachers to keep themselves updated with the new trends in the curriculum. 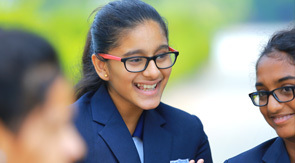 "MIS is a potential school with good infrastructure and amenities to make students fit for today’s real world challenges in terms of academics and sports. Really, we teachers are very happy to work in one of the best international schools in India."